Track which companies are placing job postings each day on Indeed. This template is great for identifying and track growing companies. You'll be able to specify a location, a location radius, and a list of job roles to begin tracking. Blockspring will automatically pull in a fresh set of postings each day into your sheet. 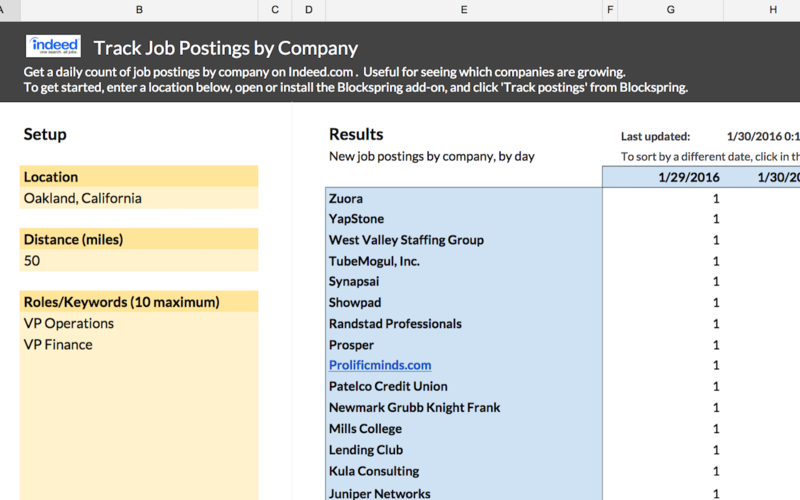 You can track up to 10 job roles/keywords per sheet. Note: updates will take 1-2 minutes per job/keyword.